SHANGHAI (Bloomberg) -- SAIC Motor Corp., the Chinese manufacturing partner of General Motors Co. and Volkswagen, pledged to increase spending to build up its own car brands after sales barely rose in the first five months. The company also is considering launching a venture capital unit in Silicon Valley. The Shanghai-based automaker faces a shortage of talent and lacks innovation, Chairman Chen Hong said Thursday in the city, asking shareholders for patience with the progress. He was speaking at his first annual meeting since assuming the post last month. Besides building Buicks and Chevrolets for GM, SAIC also owns the MG and Roewe marques and manufactures Wuling minivans in a three-way venture with GM. SAIC Motor also will place “utmost importance” on developing electric cars and aims to cut their costs, Chen said. The automaker is considering opening a venture capital unit in Silicon Valley, he said. Chen’s comments underscore how China’s state-owned automakers have lagged behind in developing their own brands even as they earn the bulk of the profits through their manufacturing joint ventures with foreign carmakers. The reliance on overseas brands led a former minister in 2012 to call the Sino-foreign joint venture model as addictive like opium, according to a Xinhua News Agency report. 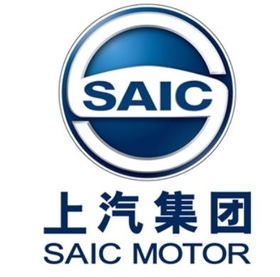 SAIC Motor’s own-brand deliveries rose 0.1 percent in the first five months to 85,155 units, compared with the 7.4 percent gain for its car venture with GM. Chinese brands accounted for 21.5 percent of industry car sales last month, a decline of 5.1 percentage points from a year earlier, according to the data. German marques led with 28.7 percent of the market, followed by the Chinese, Japanese, American, Korean and French nameplates.